One of the vexing questions for many car buyers is what type of style vehicle should one buy. Today, for many people looking to buy typical passenger vehicles, you usually have a choice between a coupe (2 door) and a sedan (4 door). While in years past, there were big differences between the two, today both car styles are popular and many manufacturers offer a choice of either coupe or sedan. There are obvious benefits and downsides to each. Here are just a few tips on choosing the best type of vehicle for your needs. Owning either a coupe or a sedan has both its benefits and downsides. For instance, a coupe is usually more sporty in styling. A coupe is generally made for drivers that use their vehicles to commute or for pleasure. Generally not made for the family, a coupe dedicates more space and functionality to the driver. Finally a coupe is usually more affordable new and retains more of its value when sold later on. Sedans on the other hand are specifically made to carry more than just the regular one or two individuals. Having four doors does reduce sportiness in styling, however most newer sedans look great. Sedans make it convenient for passengers to enter and exit the vehicle and many sedans offer specific amenities for passengers such as LCD screens on the back headrests, additional cup holders and separate climate control. 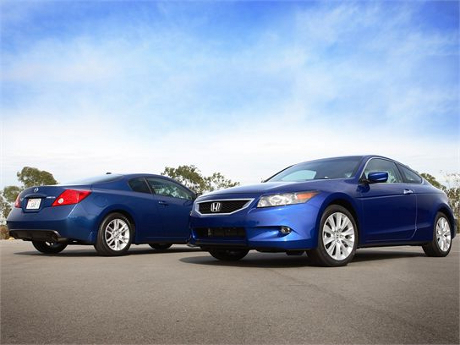 Choosing between a sedan and coupe is really a personal preference. If you have a family, definitely opt for the coupe. However if your single or don’t necessarily drive others around a coupe can be a great choice. While the styling might be different generally speaking most manufacturers usually put the same engine and powertrain into either a coupe or sedan.